The 30th Annual Harriman Cup will bestow the 2014 Harriman Cup Award to Stephen A. Orthwein. Steve graduated from Yale University in 1968, where he led the school’s team to the National Collegiate Polo Championships in 1967 and 1968. He has served as the President, Chairman, and Secretary of the United States Polo Association, and was also awarded the Hugo Dalmar Award by the USPA in 1988. Steve is one of the Co- Founders of The Harriman Cup. With BP Healthcare, Monster Energy, What2WearWhere.com, and Frava as our generous main sponsors, The Harriman Cup will take place in a new location, Bethpage State Park, which is the home of the summer- long Polo at the Park and has hosted several U.S. Open Golf Championships. 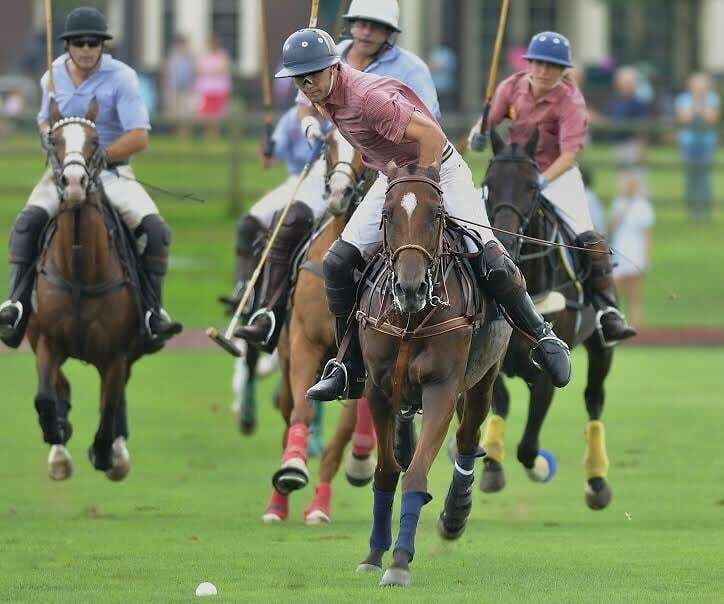 The full-day event includes the polo match, tailgating, a bike polo exhibition, and dance party featuring the music of the highly popular East Coast Band. Prizes will be awarded for the Best Hat, Best Dressed, and Best Tailgate, and the first 250 guests will receive free shades courtesy of Knockaround Sunglasses. The players for the UVa Team will be: Adam Klopp, Tristan Phillimore, Chevy Beh, and LJ Lopez III. Playing for Team Yale will be: Liz Brayboy, Seppi Colloredo-Mansfeld, Jim DeAngelis, and Steve Orthwein. The Harriman Cup was founded in 1984 to commemorate the life of W. Averell Harriman, a 1913 Yale graduate and polo player, who was the former Governor of New York, former U.S. Ambassador to Great Britain and the Soviet Union, and was the U.S. Secretary of Commerce under President Truman. The funds raised from the polo tournament will benefit the undergraduate polo teams at both the University of Virginia and Yale.